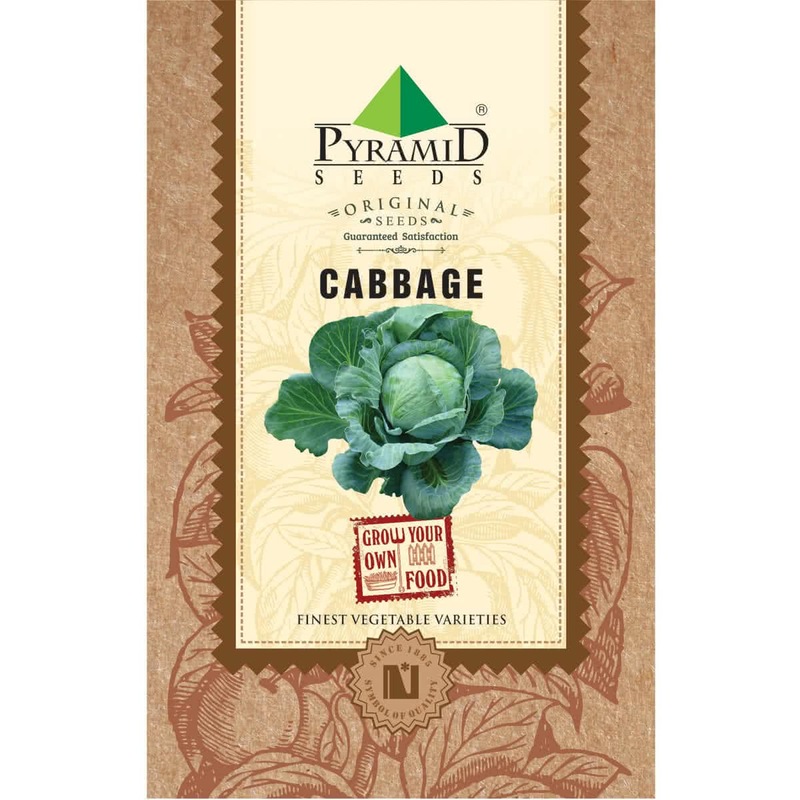 Introduction and Uses: Cabbage is power food that is savoured since ages. In the ancient times, people declared this veggie to have moon power as it grew in the moonlight. But actually, its power comes from Vitamin C and Sulphur. It is known as the brain food and is ideal for weight loss, detoxification, lowering blood pressure, relieving headache and reduce hangover. Sowing Season: Throughout the year. Best grown in winter. 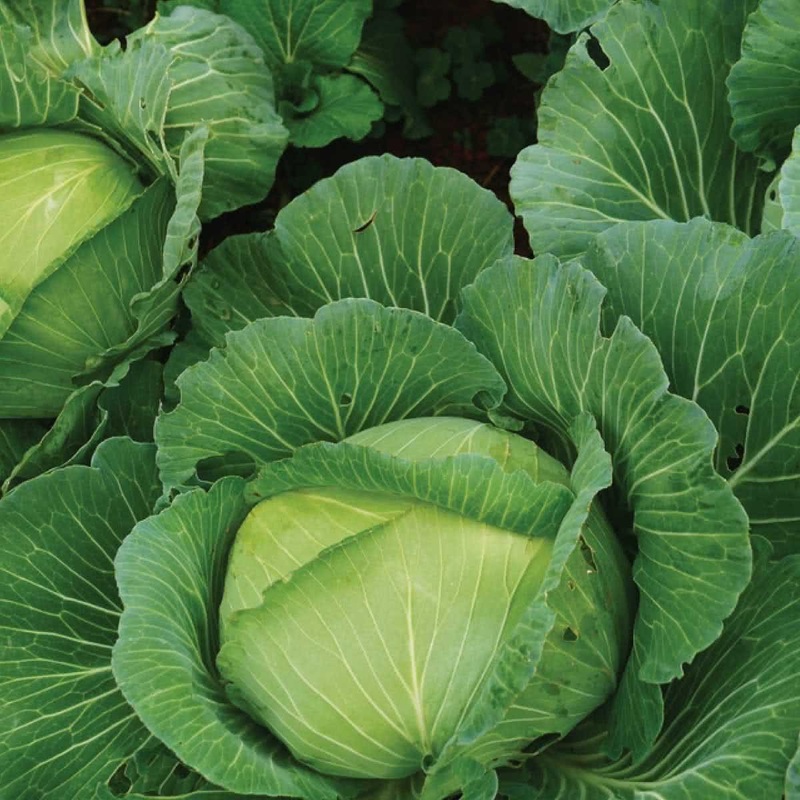 Because the seeds are small in size, Cabbage plant is grown by transplantation method. Seeds are first sown indoors in seedling trays or outdoors on seed beds & later the seedlings are transplanted into the containers or in raised beds. Hold the Cabbage seeds and sow 2-3 seeds per cell/cup. Since Cabbage seeds are small in size, do not sow them deep. Just put the seeds on the surface of the medium & push each seed a little inside the medium by using pencil tip, so that seeds are not visible on the surface anymore & cover it with more coco-peat. Or make small, shallow depressions on medium with pencil bottom. Put the seed on that depression & sprinkle more coco-peat on the top to cover the seed. If seed beds are made outdoors, protect them from rain or direct sunlight. Use well sieved fine soil as a sowing medium & make a nice raised bed from it. Cover the bed by making a temporary roof of a plastic sheet. Water it in the form of a light shower using a watering can. Sprouting Stage: Seeds will germinate within first 6-8 days & tiny sprouts will be visible. Once seeds germinate, put the tray on an open partially sunny spot near the window. Don’t cover the tray anymore. Transplantation:30 to 35 days after the seed sowing, your seedlings will be ready to transplant in container pots or raised beds. Sunlight: Cabbage grows well under full sunlight in winter. So place your containers accordingly. Watering: Water your potted Cabbage plant every alternate day in winter. Water at the soil near the plant. Use a watering can and make sure that the plants get water in the form of the shower & not by a single flow. You can also make provision for watering by drip irrigation system for your raised beds. Avoid overwatering. Top Dressing: Apply balanced liquid fertiliser or handful of vermicompost to each plant, every 15 days after transplantation. Microgreens: If you plan to grow microgreens Cabbage, grow it indoors in flat containers. Sow-scatter the seeds in a crowded manner. You can harvest it in 10-15 days by uprooting baby plants. Harvesting: (100-110 days from seed sowing) 55 to 60 days after transplantation, ‘cabbage heads’ will be ready to harvest. You can get single cabbage per plant. Harvest the cabbage when it is full sized, firm & solid. This is the second packet of seeds I've received from this company and both times I found the seeds to be of very good quality, sprouting quickly and growing very well.